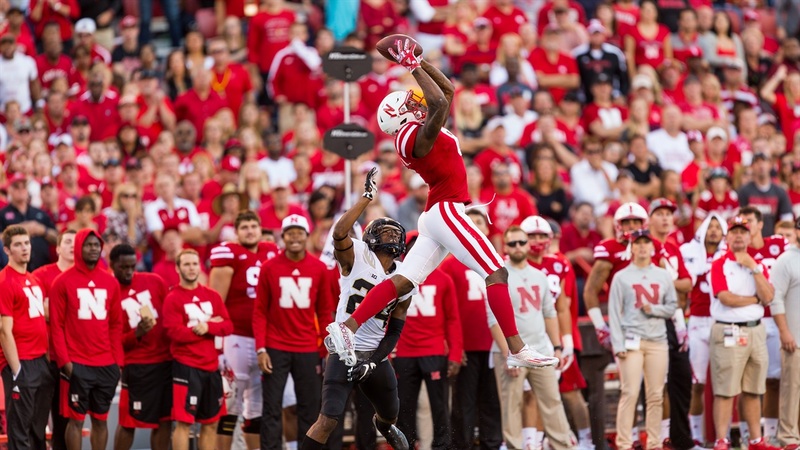 Nebraska senior wide receiver Stanley Morgan Jr. was among 10 players honored by the Big Ten ahead of the conference's annual media days in Chicago. The Big Ten's version of a preseason all-conference team includes five players from each division selected by a media panel. The New Orleans native set school records for receiving yards (986) and 100-yard receiving games in a season (five) in 2017. Morgan was a second-team All-Big Ten selection by the coaches and media last season and will represent the Huskers in Chicago on Monday alongside fellow seniors Mick Stoltenberg and Jerald Foster. Morgan ranks fifth all-time at Nebraska with 1,743 receiving yards entering his senior season. He also ranks seventh in catches (119) and touchdown receptions (15) heading into 2015. Unanimous selection in ALL CAPS.